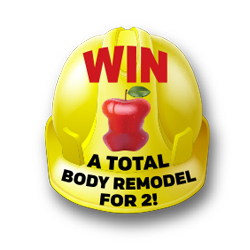 Win a total body remodel for 2! Send us a short video (1-2 minutes) of you and your partner/friend explaining your weight loss goals and why you want to win our Total Body Remodel for 2! The package will include 3 months of one of our weight loss program and other cool body makeovers! CONTEST RULES: Winners will be required to get medical clearance (done at our weight loss center). You must be willing to be videoed and photographed, share your experiences, and give testimonials for social medial. All rights of photos and videos are given to the Body Shop MD Weight Loss Center. Prize may not be substituted for any other service. Keeping with the partner theme, we offering a 20% OFF PARTNER PACKAGE THROUGHOUT APRIL. Sign up with a friend/partner at our weight loss center and you both receive 20% off all weight loss services and products. Schedule your free consult and join our weight loss family. We're still offering buy one cycle of coolsculpting and get the second half off. Schedule your free consult on any of our fire and ice Fridays. The big new protocol is to add an Intragen for skin tightening with your coolsculpting treatment. You can add one for only $150 this month! We're making some exciting changes to our lash services. Details soon, plus we'll be adding semi-permanent mascara to our list of services! 20% off all things micro this month: microblading, microneedling, PRP, micro botox. Watch for micro Mondays with additional details and weekly specials posted on our social. We're not giving away too much until towards the end of the month. It's going to be exciting! We'll be following the progress and giving out hints on our social media. ©copyright 2017 Medispa and Body Shop | All right reserved.